It had been years since I decorated a pumpkin, so I was struggling for inspiration. Luckily, the restaurant was decorated with a Hawaiian theme–fitting given that poke comes from the Hawaiian islands. 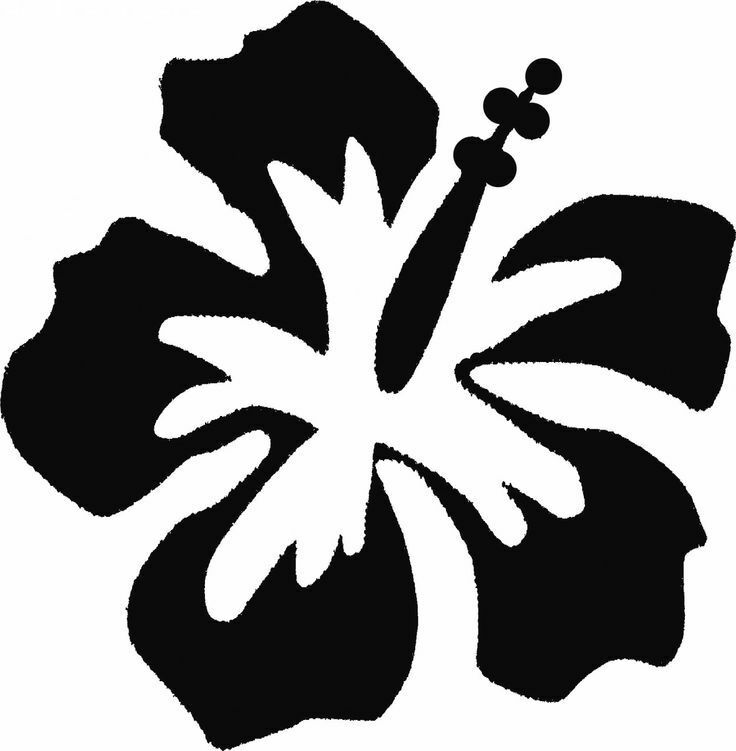 I googled the first thing that comes to mind when I think Hawaii: the hibiscus flower. 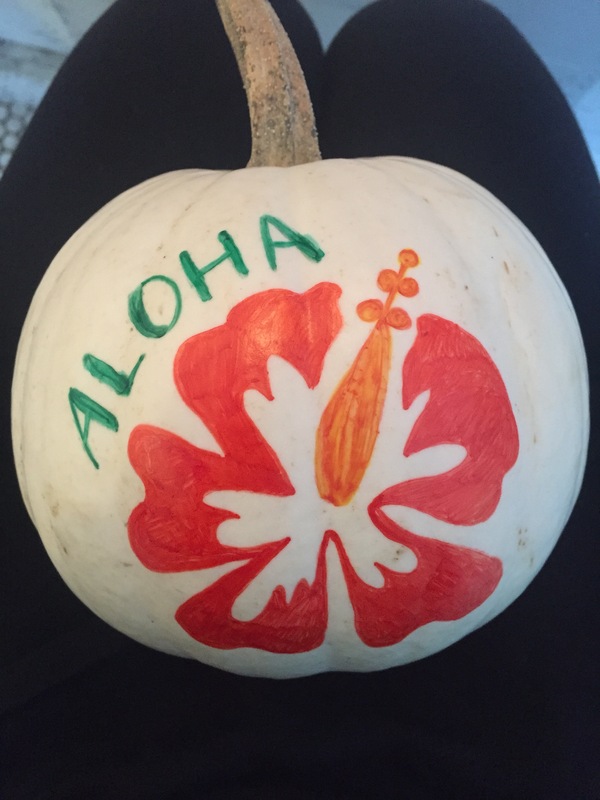 I used the hibiscus picture meant as a stencil for carving to draw onto my pumpkin. It turned out pretty well! Now it has me dreaming of warmer–and drier–weather. I finally finished stripping the dresser, which meant the next step was to protect and seal the wood! 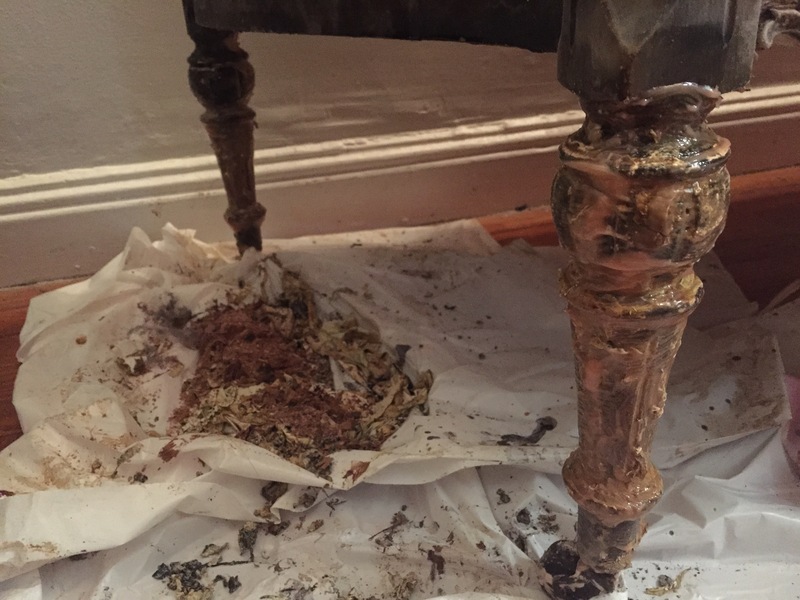 I chose to do this using oil and wax, as done by Manhattan Nest. 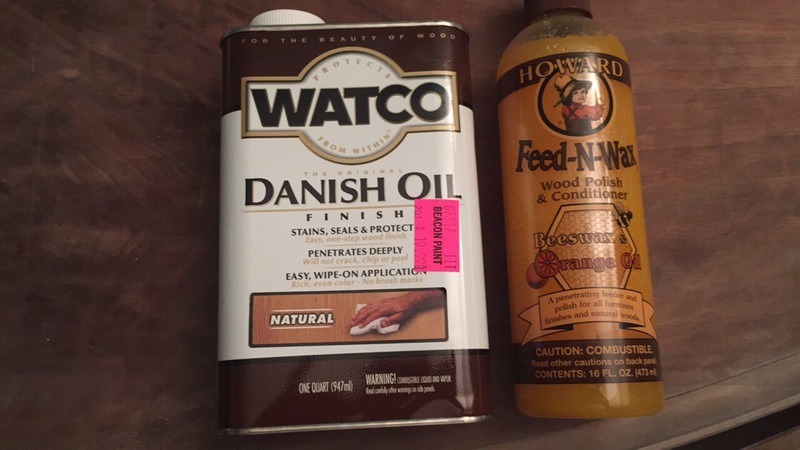 I went to my local hardware store to pick up some oil, and bought the wax at Home Depot (which I dragged a friend to after we had dinner). 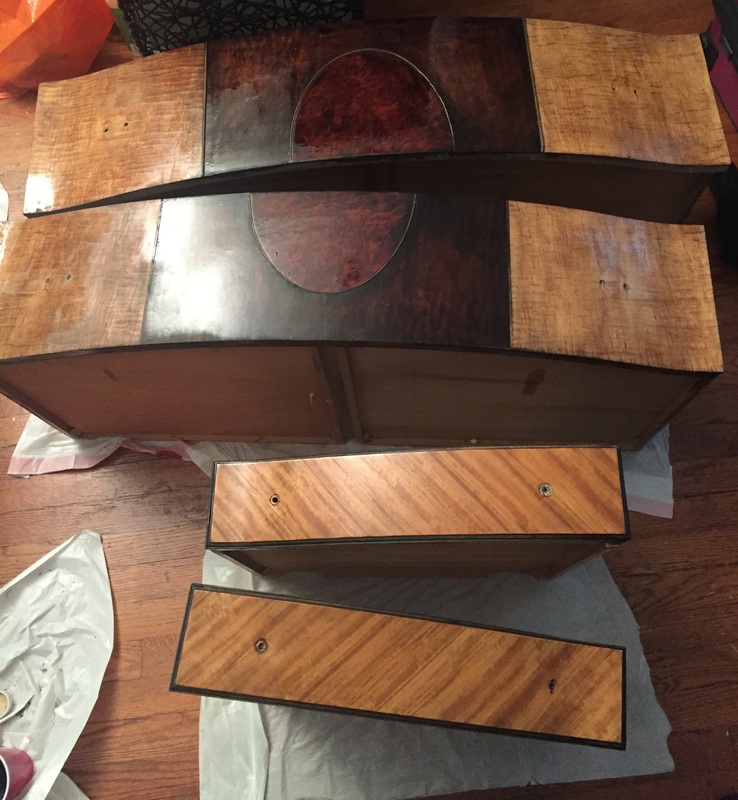 The dresser top before was looking pretty rough. 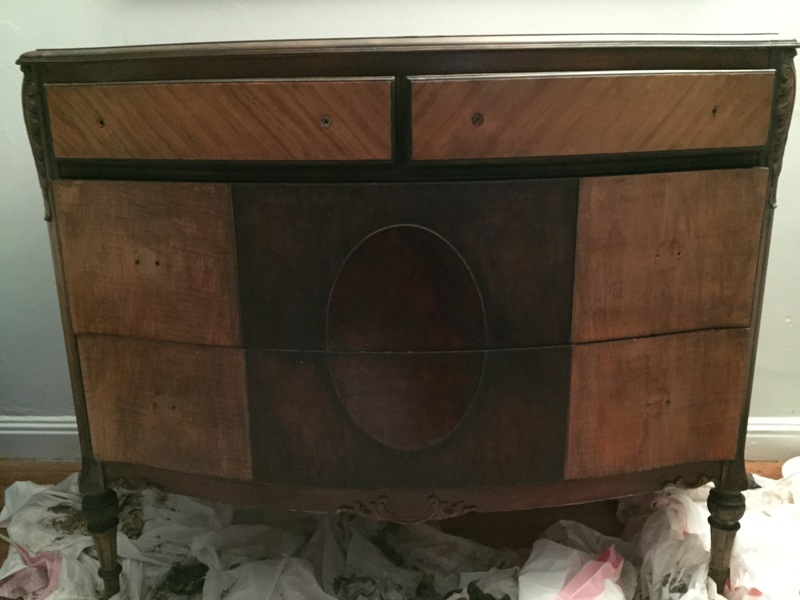 The drawers weren’t much better. I started by pouring some oil onto the top, and spreading it around with a cheap brush. 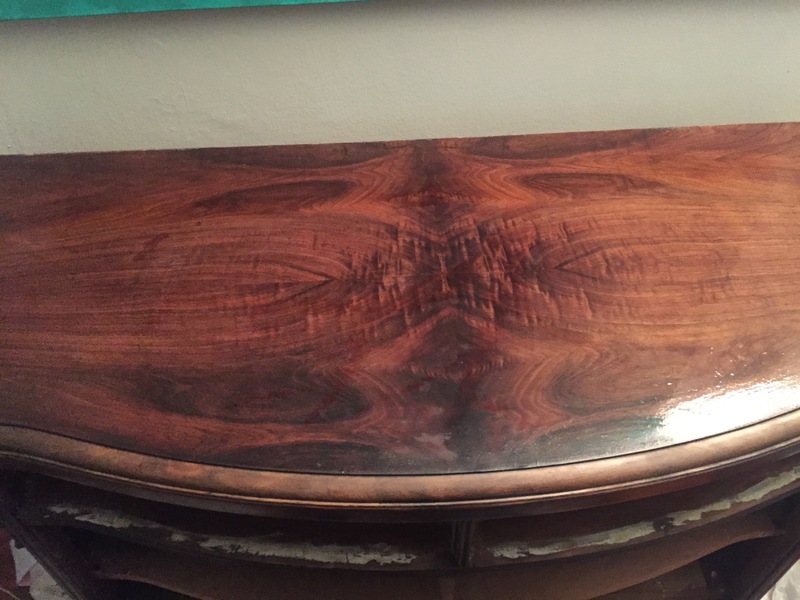 It was amazing how quickly the beauty of the wood came back! I poured some oil into a plastic cup to spread onto the sides and drawers. The wood was very thirsty! 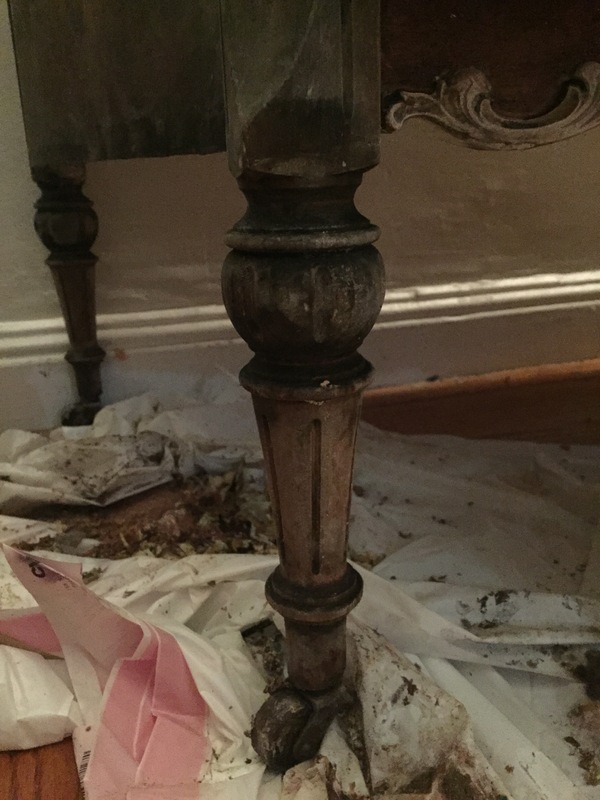 It took quite a bit of oil until some sat on top of the wood. 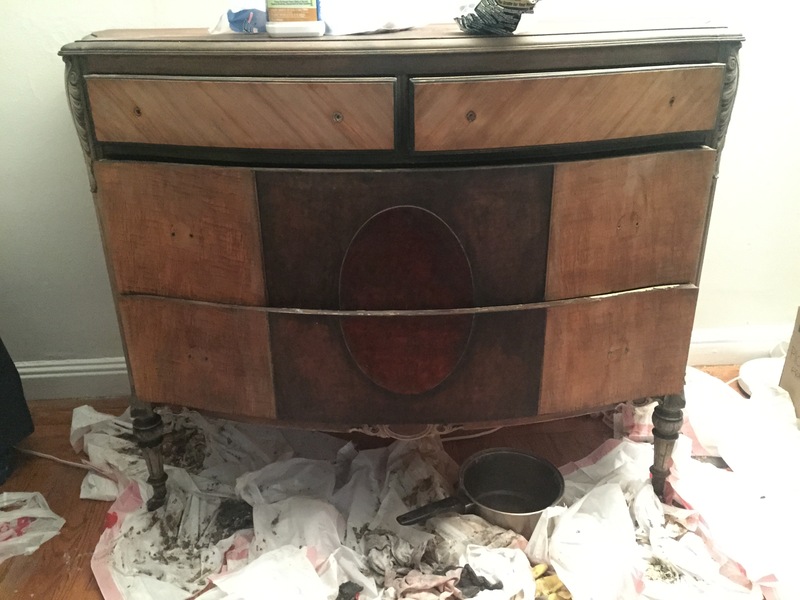 I think I went around the whole dresser three times, spreading the oil all around and applying more as necessary. Once I was satisfied and had let it sit for about ten minutes, I took a clean rag and wiped up the excess. 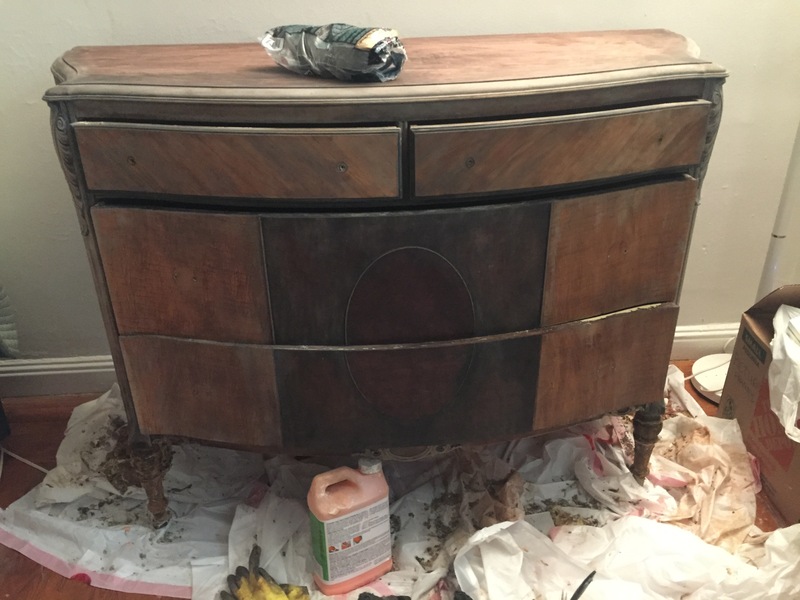 The dresser isn’t quite as shiny, but the beauty is still there. I need to let it dry for a bit before I apply the wax, but I’m also contemplating doing another round of oil. PS. 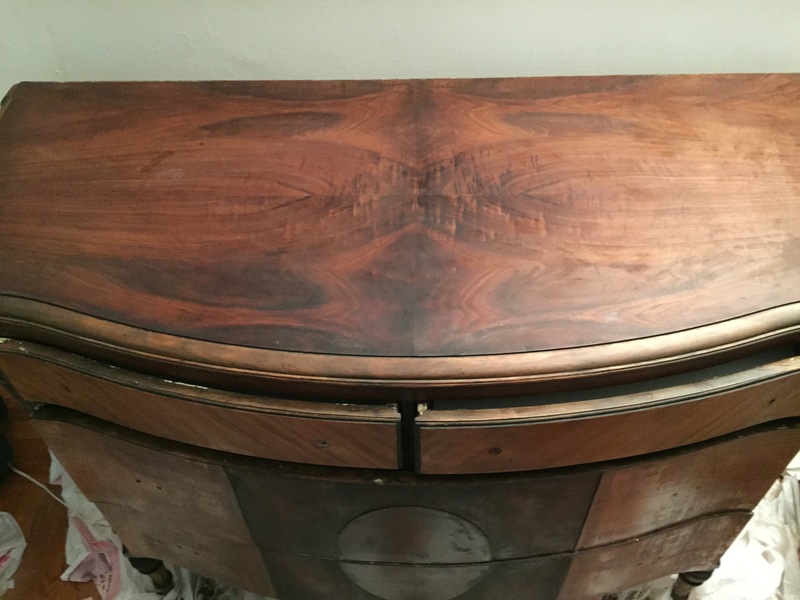 My aunt asked on the last dresser post if it’s an antique. I feel like it is (because who wouldn’t want to own an antique?! ), but there are no stickers or markings that would indicate this. So unless someone is very knowledgeable about furniture, I’m going to pretend it is! I have a minor obsession with chocolate. I seem to always have some on me, which comes in handy for both me and my friends when we need a little snack. I used to buy regular chocolate chips (semi-sweet and milk chocolate), but one day my grocery store stocked Hershey’s Mini Kisses, and my life changed forever. Even after I moved into my apartment, I was able to find a store that carried them–and for a dollar cheaper too! But then one day in May, they were out of stock. I waited a few days, but they still weren’t restocked. They were restocked just before I went to Europe, so I bought six bags just in case they weren’t restocked again for some time…which sadly they weren’t. Apparently I asked the store employees about them one too many times, because they started to remember me. Oops. Luckily, the internet is a magical place, and there’s a website that sells them in bulk! And it’s cheaper that way, too! I’ve already finished off my first box, and a second one is on its way. 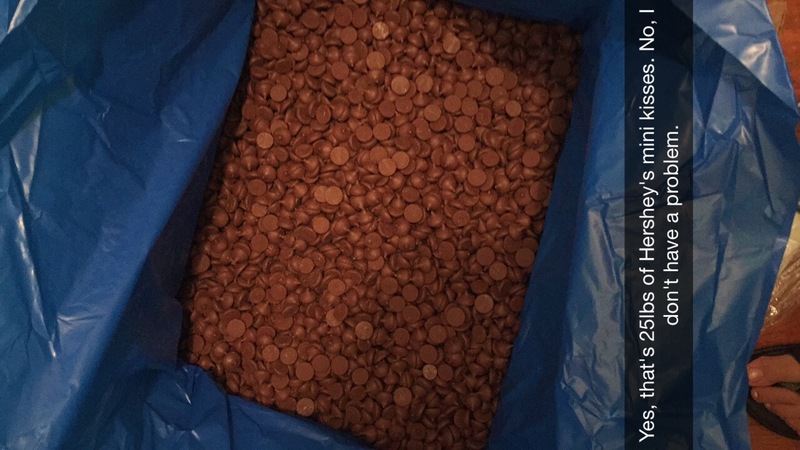 Last time the doorman couldn’t believe I had ordered 25 pounds of chocolate, but a girl’s gotta do what she’s gotta do! Nope, I don’t have a problem at all. After my muscles had some rest from scrubbing the dresser frame, it was time to finish off the legs and drawers. I applied more stripper to the legs, and let that sit for a bit. Then I had to contort myself around on the ground to get at all the nooks and crannies in the legs, but they turned out beautifully. Cleaning up the drawers was easier, since they are mostly flat and smooth, and could be moved around. Once I was satisfied with all the stripping, it was time to finish things up with some mineral spirits (a safe for indoor use with no VOC fumes formula). 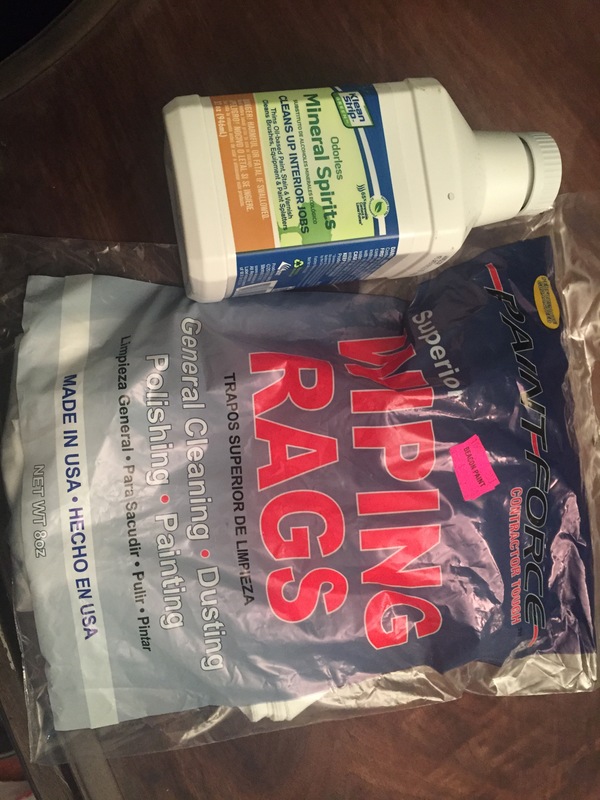 I also picked up a bag of rags to use. 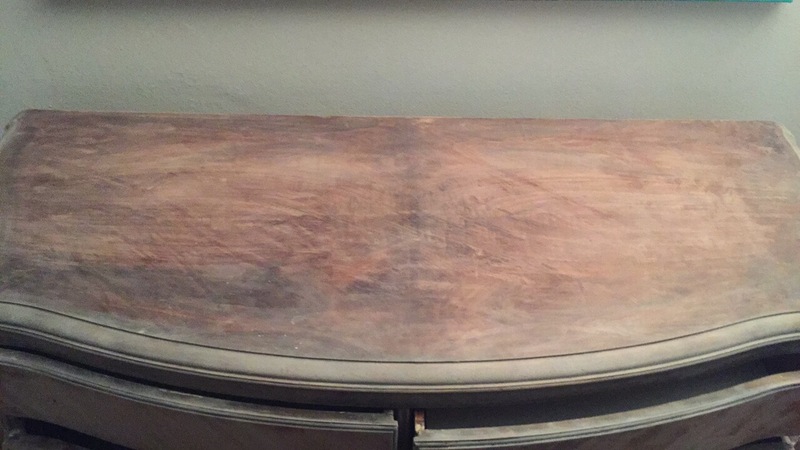 I wiped down the whole dresser, and it picked up a lot of dust and some paint and stripper that was left behind. 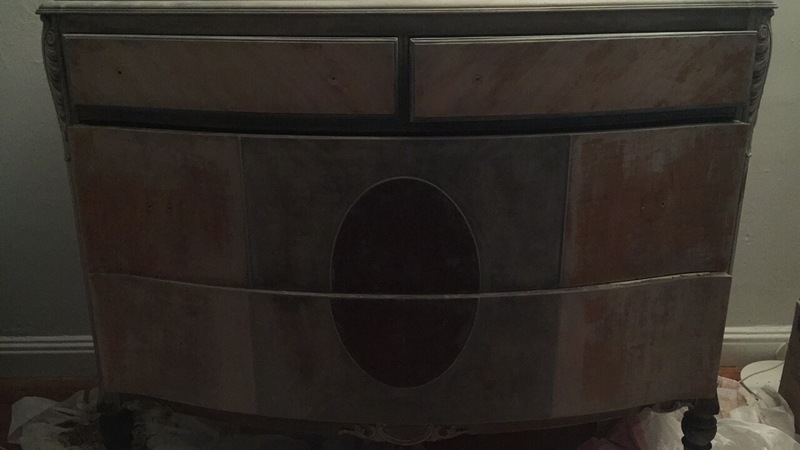 However, some parts of the drawers still looked bad, so I used some steel wool dipped in the mineral spirits to scrub off the rest of the grime. Now it’s time to finish it off with some oil and wax! I have a well known trait of not liking change. I’m perfectly happy to eat the same food every day. I also refuse to adapt when the items I like and use often are no longer available, which means I find myself scouring eBay to find the same pair of discontinued sneakers, or another purse exactly like the one I’ve been using. But this time, the issue was my phone’s battery, which no longer held a charge. I didn’t want to be forced into buying a new phone quite yet, as I’m not excited about the new iPhones that Apple sells. So putting off the inevitable, I googled, and realized that I could replace my iPhone’s battery myself! 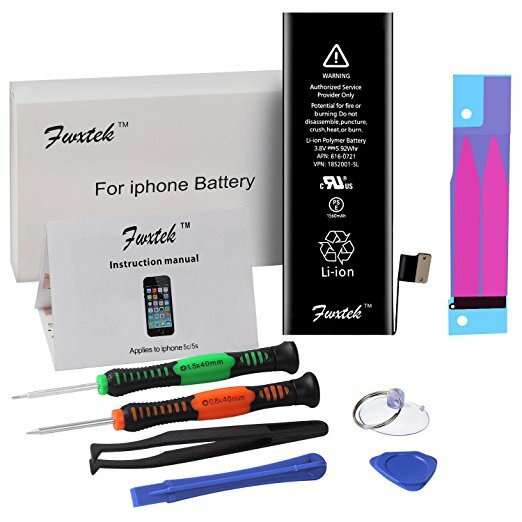 New lithium ion batteries are around $20-$25, and most come with a kit that has all the tools you need to make the switch. I ordered a battery kit on Amazon (the exact one I ordered is no longer available, but there are quite a few others for sale on Amazon and through other retailers)…and then I let it sit in the box for a month. But last week my phone was struggling to stay on even when it was connected to an external battery, so I knew the time to finally try had come. Best case scenario: My phone has a new battery and lives to see another day! Worst case scenario: My phone still doesn’t work, and I have to buy a new phone (which is the same outcome as if I didn’t attempt replacing the battery). Of course, I waited until 10pm to change the battery, but there’s no time like the present once I decided to commit. The directions were pretty clear and easy to follow, but I did make a few errors. First, I dropped the first screw I took out. They’re incredibly small, and I wasn’t expecting it to come out so easily. Then, I got overly excited, and rushed through removing the second adhesive strip, which meant I had to pry the battery out. The whole operation was nerve wracking, but I kept reminding myself that people do this every day at the Apple Store and other retailers. Once everything was put back together, it was time for the moment of truth: would it turn on? YES! It did! I was so excited I texted my brother a screenshot of my phone, along with the message “YOUR SISTER IS EFFING AWESOME”. And then I used my newly fixed phone’s flashlight to look for the missing screw, which I was able to find! So all in all, it was a pretty great night!